Well I went and did it. 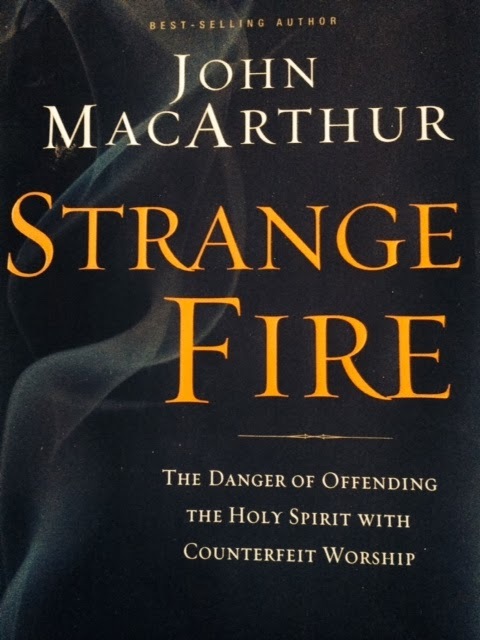 Wanting to see what the noise was all about, I read John MacArthur’s “Strange Fire” for myself. Back in seminary they encouraged us to, whenever possible, read the original source before looking at the commentary of others. 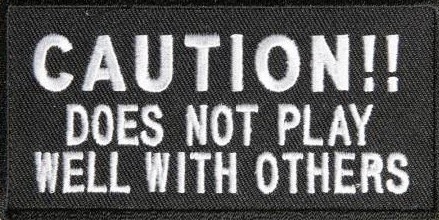 That is a practice that I’ve tried to adhere to ever since. As a result, though many people have weighed into the discussion with their opinions on this controversial book, I tried very hard not to read any of their thoughts on the matter until I had the opportunity to read the original source for myself. A couple times on social media, when I heard someone with a strong critical opinion of MacArthur’s book, I pressed the point and asked them if they had actually read “Strange Fire” for themselves. Though some non-fans no doubt would have actually read the book, the folks I questioned confessed that they had not; they just hated it for what they thought it represented, basing their opinions solely upon the opinions of others, who in turn likely based theirs on someone else. I find that unfortunate. So now that I have sat down and actually read it for myself, I will share only a few of my thoughts, as opposed to a full-blown review. Why? I’m afraid that to do otherwise may discourage people from reading “Strange Fire” for themselves. Having said that, if you have not done so already, I encourage you to get a copy of this book and carefully and prayerfully read it. By saying this, please understand what I am not saying; I am not suggesting that I fully agree or disagree with the book. I do have my own opinions, but rather than further divide the body of Christ, I am going to stand with Paul on this one: “So whatever you believe about these things keep between yourself and God” (Romans 14:22; NIV). I am simply of the opinion that the church today needs to be more like the Bereans who “examined the Scriptures every day to see if what Paul said was true” (Acts 17:11; NIV). There is a lot we can learn from that practice. Could it be that there is some measure of truth in what MacArthur has said? While at times I was uncomfortable with MacArthur’s approach, he uses a lot of Scripture to back up his views. Regardless whether or not I agree with an author, I respect people who can back up what they’re saying with the Bible. There is a lot of pseudo-Christianese noise out there, and much of it has no foundation in the Bible. That scares me. MacArthur argues that a lot of what happens in Pentecostal and Charismatic circles has no biblical basis at all. As he developed that argument, I began to see why so many people had such strong feelings against this book; it directly attacks the religious system that they embraced somewhere along their spiritual pilgrimages. However, though MacArthur attacked a religious system, nowhere in the book did I get the sense that he was attacking the sheep that followed the system. It’s true that he has some strong words to say about some of the charismatic leaders, but not about the followers. Still, if you’re a follower, I can see how this book might hurt. Having said that, I personally know of many occasions where Pentecostal and Charismatic rhetoric has equally hurt and seriously damaged people who embrace a different Christian denominational view. At the risk of digressing too far, let me say that it is little wonder that so many non-Christians want nothing to do with our faith when all they see is us doing is displaying our “dissentions and factions” (Galatians 5:19-20), acts of the sinful nature I might add, in the way we openly attack and belittle each other. This is love? I get the sense that many of the critics have a problem with this book because they view it as judgmental. Everyone is quick to quote Matthew 7:1, “Do not judge.” Unfortunately that is where things begin to get a little cloudy for many of us. In one sense we are certainly not to judge, and that is in the condemnation sense; only God can condemn. In another sense we are to judge, and that is in a discernment sense. Time and again the New Testament calls us to test and discern the spirits. Discernment is what I come away with after reading MacArthur. One of the big themes in “Strange Fire” centers on the cessationist versus continuationist doctrines. By way of example, many Christian circles hold the view that the gift of tongues has ended and is not for today. Others, such as Pentecostals and Charismatics, would argue that the gifts continue. This argument is, no doubt, a hot potato and has fueled many heated debates. MacArthur does a masterful job of presenting the cessationist side of the argument. It stands to reason that in the process he didn’t make too many friends from among the continuationist camp. That was only a small portion of the quote, but I found it interesting that he said, “can be and often is faked.” Ouch! Obviously not all Pentecostals are on the same page any more than all Baptists are on the same page, or all Catholics for that matter. Apparently Grady and MacArthur, though from different denominations, are at least partly on the same page on this one. The point is, as the Apostle Paul once said, “Now we see but a poor reflection” (1 Corinthians 13:12). Despite everyone’s strong opinions, despite all the biblical interpretations, I cannot help but wonder if we do not all still work with a somewhat dirty mirror; the reflection that we see is still poor at best. It would be terribly arrogant of any one of us to say that we fully understand the mind of God in this. Still, let me reiterate what I’ve already said; do read the book for yourself, and not just someone else’s interpretation of it. Be a Berean, and search the Scriptures, and then ask yourself: “Is Jesus being glorified?” Regardless whatever else may or may not be said and done in His name, the Holy Spirit will only ever point us to Jesus. Well there you have my two-cents worth. Peace. For more on this theme: "on Critically Testing Church Leaders"